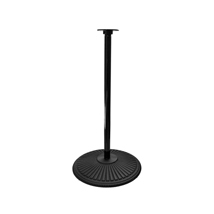 Black Cast Iron Stand for vending machines. 1 in. pipe with 15 in. diameter base. Includes all mounting hardware.